Following cataract extraction an intraocular lens (implant) is placed into the eye to restore its focusing power. The standard lens type inserted is called monofocal, and has a fixed focus. Usually, the power of the lens is chosen such that distance vision is clear, but reading requires the use of reading glasses. Whether or not distance glasses are also needed depends on the accuracy of the lens power calculation and how much astigmatism your eye has. There is a lens type available that aims to allow patients to see in the distance and for near without glasses. This ‘multifocal’ lens focuses on both distance and near objects simultaneously, and the patient concentrates on the required image. There are advantages and disadvantages to the use of multifocal intraocular lenses. The choice of which type of lens to use must be made by the patient, guided by advice on the suitability of the lens for an individual patient. I am experienced in the use of multifocal intraocular lenses, with a published MD thesis in their use (Manchester University 2003), supported by published studies. I am the senior author of the definitive guide to trials of multifocal IOLS (the Cochrane Systematic Review, see Publications). Which multifocal lens would I have? All the multifocal lenses that I use have excellent distance vision characteristics. The lenses differ in their ability to offer intermediate vision (e.g. music, computer) as compared to true near vision (reading). All IOLs offer good distance vision but they differ in the strength of the near vision addition or the availability of intermediate focus. I currently offer Tecnis multifocal IOLs, Alcon Panoptix trifocal, Zeiss trifocal and toric trifocal IOLs. 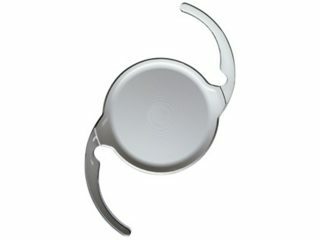 I am happy to discuss with you which IOL type may be best suited for your needs. Who is the multifocal lens not suitable for? How well does the multifocal lens work? Yes. With a multifocal lens the vision is not quite as crisp and clear as with a monofocal lens (but still much clearer than with cataract). The difference is small and is unlikely to be noticeable in most conditions, but might be more evident in conditions of dim lighting. Multifocal lenses can also cause blurred haloes around lights or increased glare from lights at night, e.g. from oncoming headlights. For most people they do not cause problems, but they may be a problem for people who drive frequently at night. Multifocal lenses offer reduced dependence on glasses, with around 1 in 3 people achieving total freedom from glasses, and most people finding they can do without glasses most of the time. 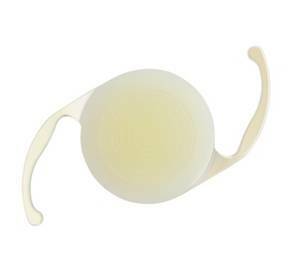 They are suitable for people who have cataracts in both eyes without any other eye problems. They are not necessary for people who are quite happy wearing glasses. They are not advised for people with very high distance vision requirements or who drive frequently at night.